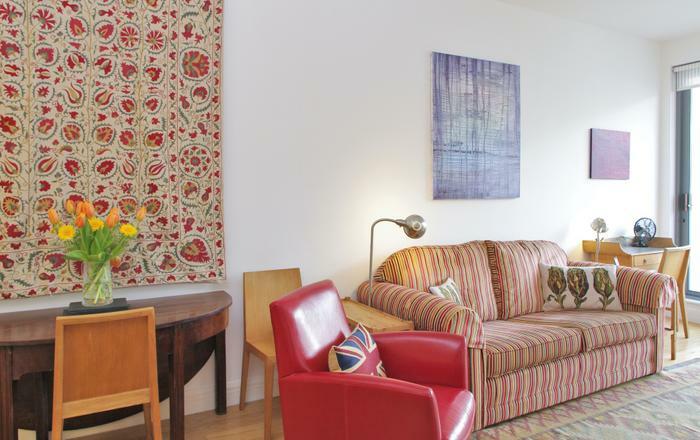 Kensington Comeragh is an attractive short let London home, stumbling distance to West Kensington station. 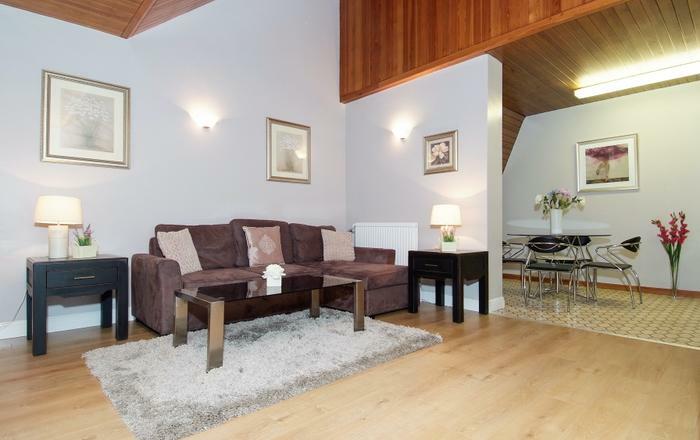 Recently refurbished with the help of a well regarded architect, this is a fresh and modern two bedroom flat with the added benefit of it’s own private patio. The living area is spacious with high ceilings, wooden floors, lots of natural light from large windows and a fireplace. There is a comfortable seating area with a large sofa, coffee table and armchair, plus a handy desk area tucked away in a corner of the room. There is a dining table and seating for up to six people adjacent to the kitchen. The galley kitchen is modern and fully equipped, including a washing machine and Nespresso coffee machine. Both bedrooms are light and welcoming with large windows facing the rear patio. The master bedroom has a king sized bed and the other a double bed. 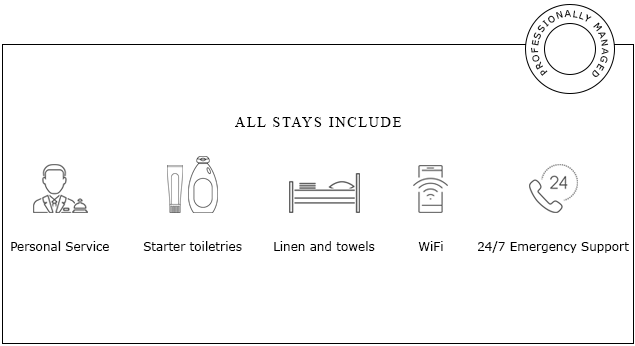 Newly laundered bedding and linen is included in your stay. The smart bathroom has a heated towel rail and a tub with overhead shower. There is also a separate WC. Towels and soap are provided as standard. The tiled patio is charming with outdoor furniture, pot plants and a BBQ. A peaceful spot to relax. 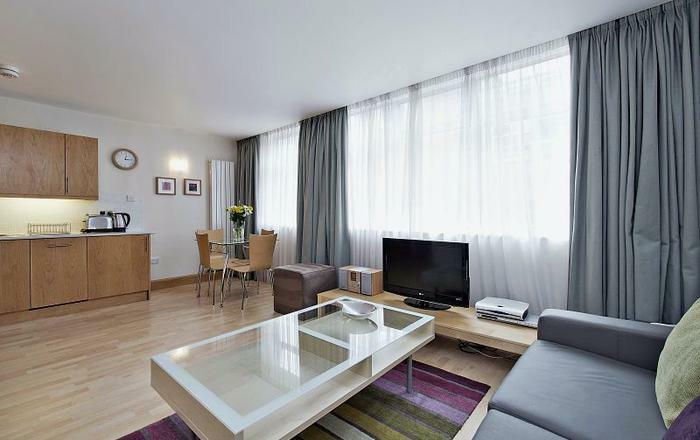 - West Kensington Underground - on the District line - under five minutes walk. - Baron's Court Underground - on the Piccadilly and District lines - under 5 minutes walk. - Both are in travel zone 2. 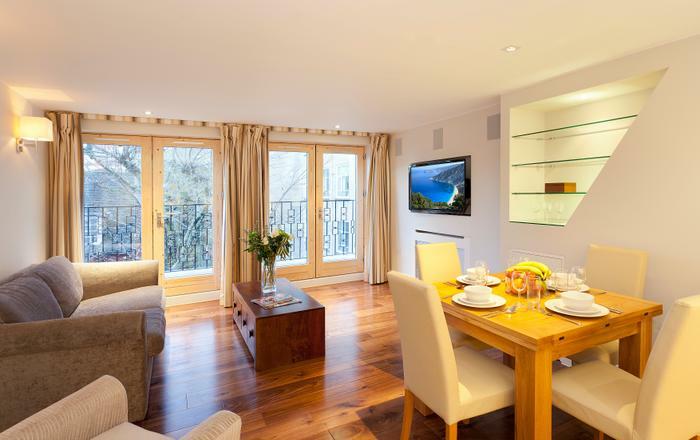 Kensington Comeragh is fully furnished and equipped with linen, towels, kitchenware and Wifi. 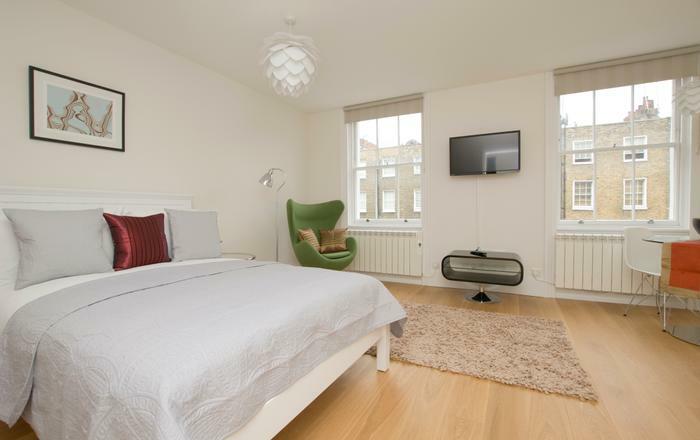 This short let London basement flat has it's own entrance and sleeps up to five people in a king sized bed, a double bed and a single sofa bed. West Kensington is a community orientated part of central London. Enjoy some great local pubs, shops and restaurants - the curtains up pub even has a mini theatre. Local shops cater for your daily needs and there is a well known butcher around the corner. 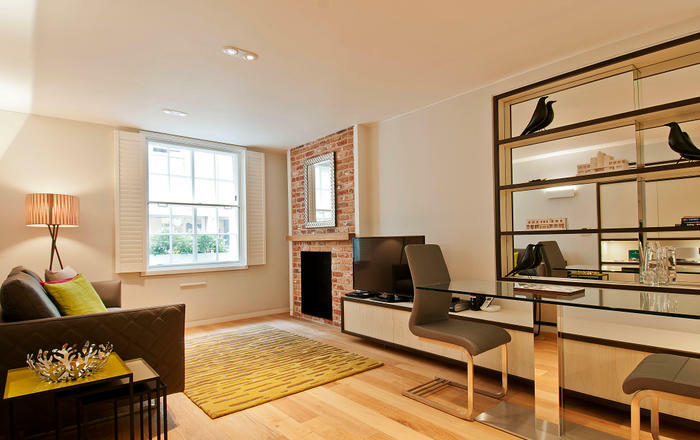 From here you have easy access to High Street Kensington and Holland Park, plus all the famous museums of the area. Travel on the Piccadilly Line to Heathrow directly into the West End - it is swift and easy. Tennis fans may enjoy being so close to Queens Tennis Club. 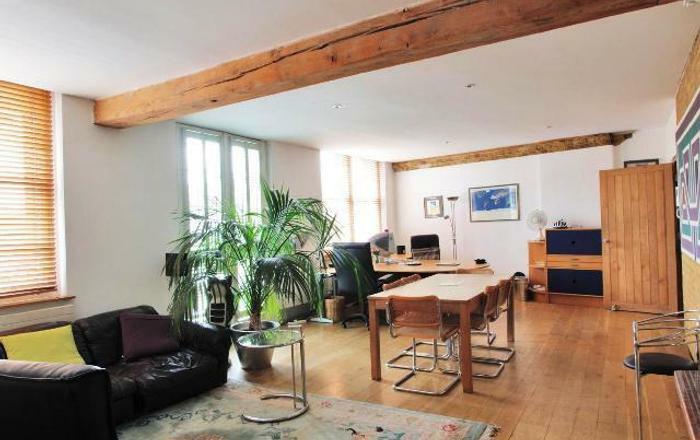 This is a well loved home, used regularly by the owners when they are working in London, and neat as a new pin!